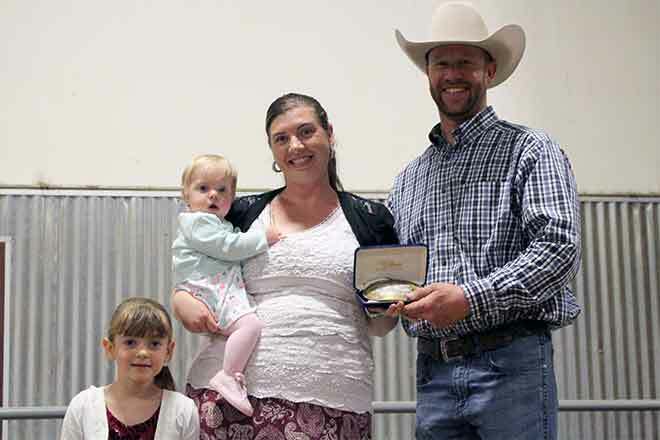 Kerry Hartshorn was honored during the annual Bent-Prowers Cattle & Horse Growers Association banquet April 6 at Lamar Community College's Equine Arena. Hartshorn, of Granada, was selected as the association's prestigious Honorary Life Member Award recipient. Hartshorn "is persistent, dedicated, and humble," according to the 2018 award recipient, Milton Rink, who made the 2019 presentation. He said Hartshorn's quiet diligence and foresight helped to make Bent-Prowers and CCA membership unified. 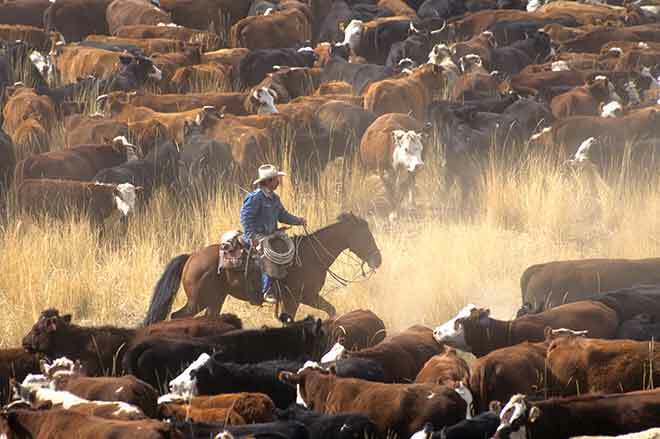 Hartshorn was an active cattlemen board member, junior advisor and finally president of Bent-Prowers Cattle & Horse Growers in 2001. Milton Rink, left, presents the 2019 Bent-Prowers Cattlemen Honorary Life Member Award to Kerry Hartshorn of Granada. 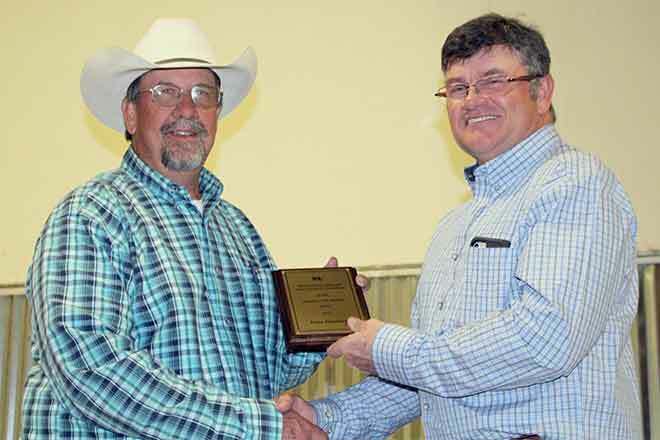 Hartshorn received the top honor during the association’s banquet April 6 in Lamar. Courtesy Susan Russell. In addition to the cattlemen's board, he was instrumental in starting a first responder's service in the Granada area, plus he served on the Granada Pride Committee, the Granada School Board and East Prowers County Weed District. He is a past recipient of the Prowers County Humanitarian Award and JC Outstanding Coloradoan Award. Hartshorn's surprise honor highlighted the evening, which drew about 120 ag supporters from across Southeast Colorado. The night also included cowboy punch bowl, auction, and entertainment. Clyde Chess of Rush shared his award-winning cowboy poetry during the prime rib supper. The auction, which included framed artwork and signs, 25/7 Media radio advertising, a roping dummy, Colorado Mills gift baskets and a stained-glass window, raised about $2300 for Bent-Prowers Endowment Trust. The Southeast Colorado Junior Cattlemen also held its annual meeting April 6, plus used the social hour to raised scholarship funds. Quade Malone of Wiley was named the 2019 scholarship recipient.